Build a Modern War Fleet! Lead your Nation to Victory on the High Seas! The Campaign Expansion puts you in command of a nation fleet in a series of linked battles. Each battle has its own parameters and victory conditions. Between each battle, you’ll have the chance to reinforce, repair, and rearm your fleet for the next battle. Master your tactical and strategic options and lead your fleet to victory! Each mission lasts 3 to 6 game turns and a complete campaign consists of 2 to 8 missions. This expansion adds a total of 112 Ship, Mission, Strategy, and Target cards to your Modern Naval Battles - Global Warfare game! More ships for: USA, USSR, UK, France, China, Argentina, Taiwan, Norway, Japan, Germany, Italy, and Canada! Plus, the new navy for India! Each Mission card modifies the upcoming battle for each side and sets the battle’s victory conditions. You can purchase these cards to expand your strategic and tactical options. Some Mission cards utilize Target cards as part of their victory objective. You will be responsible for either destroying or defending these key objectives. Damage counters to record the hits inflicted on ships. The game also includes rules and counters to track the expenditure of missiles when ships perform huge missile volleys. 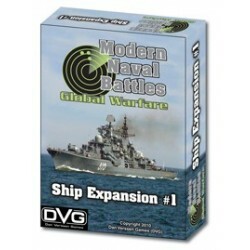 You must have Modern Naval Battles - Global Warfare to use this expansion. 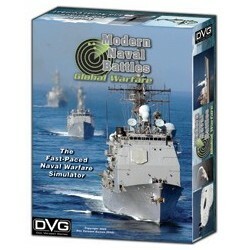 jeu de combat naval moderne pour 2 à 6 joueurs.